Vestige Marketing is an Indian Multi-level Marketing company that offers an array of products ranging from cosmetic to skincare products. The company is one of India’s most rapidly expanding network marketing companies and adds new products to its list every year. Through their network marketing program, the company has managed to reach a large number of distributors and sellers who have in some way helped in growing the company’s turnover. The company has been operating in India since 2004 with revenue of 127 million rupees and around 1.04 million distributors across the country. 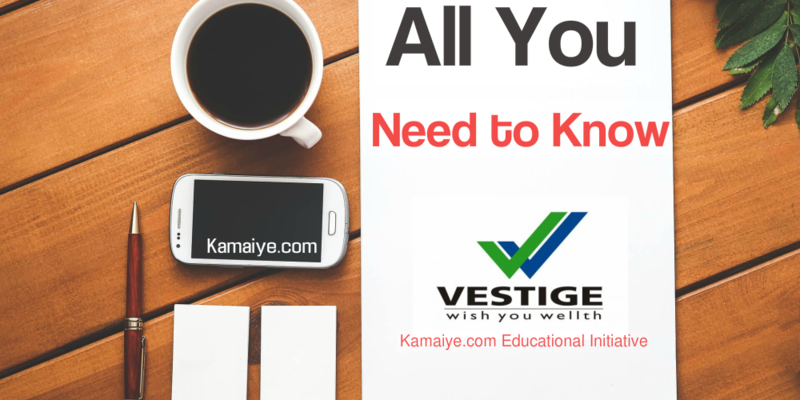 Vestige’s headquarter lies in New Delhi and has over 1.04 million independent distributors. The company has 1,000 + full-time employees, 24 branch offices and 1,100 service centers. Vestige Marketing’s network is considered one of the best in our nation because it offers a range of products and adds at least 15 new products to their line every year. Their products meet quality standards though a couple of products were removed as they did not meet FSSAI’s standards. This being said, the company is working on complying with India’s rules and regulations. Vestige marketing offers personal care products as well as health products, air purifiers, cleaning products, tea and coffee as well as Ayurvedic products. They house products for consumers with mid to high spending power thus do not limit themselves to merely one segment. Their best sellers include their ayurvedic health and wellness products, their Italian and Swiss collection and their air purifiers during winter season. What are the different brands offered by Vestige Marketing? Vestige Marketing offers 5 different product lines. In a nutshell, it is evident to say the company offers a little of everything to every end user. They have introduced an Italian, Swiss and French range to appeal to the high end consumers who do not mind spending more on products that add value. How legitimate is Vestige Marketing? Vestige Marketing’s MLM is pretty safe. You will be provided original products on purchase of their kits. Their products meet all standards in the Indian market and those products that failed to meet certain standards were removed and modified according to market requirement. Why opt for network marketing? The future in marketing lies in Multi-level marketing. Influencers are doing it and major brands like Avon and oriflamme are doing great in this area. With India’s increase in disposable income and change in consumer behavior, the concept will pick up, especially among millennial’ and gen Z users. In fact, many companies in India will shift or integrate this strategy/ program in their business model to eliminate the restraints of areas, regions, genders and so forth. Risk is pretty low in network marketing. The barrier to entry is low and recovering the costs incurred is not an impossible task. Though this scheme requires lots of time, the output is worth it and with time your direct selling skills develop, making it easier for you to sell to end users in the future. Flexible timings is another added benefit to those looking to earn passive income through network marketing. The amount of time you wish to invest is totally up to you. You can also decide whether you want to initiate your process during the morning hours or afternoon. It is a Proven System. Network marketing is expected to grow, especially in India. Just like a franchise model is expanding, so will the MLM model. It may take a little more time and effort, in the beginning, to get people to purchase from you but once you have initiated initial contact and learn how to deal with end customers, it will be easier to convert them in the future at the same time creating good relationships with customers. Many respected personalities like Darwin Deason, Warren Buffet and even Donald trump were at some point or the other involved in network marketing. The future for Multi-level marketing is bright and will grow. Personal care and wellness products are seeing high demand in the country due to higher disposable income and change in consumer preference. Customers are more conscious about their intake of products and appearances thus do not mind spending a few extra bucks on products that will help them maintain it. In conclusion, it is safe to say that direct selling or MLM is a great chance to get your passive income going. The process of it may be tough in the initial phases but once you understand the basic concept of it, it won’t be as difficult.